Our mountain biking season runs from opening day (usually in late May) to the start of deer hunting season. Please note that our trails are multi-use; watch out for walkers and disc golfers. 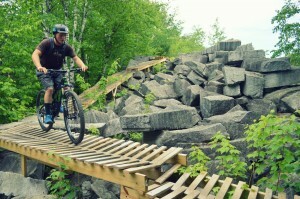 Mountain biking requires a membership or the purchase of a day pass.